The power of an Android phone or tablet already makes a desktop PC, or even a laptop, seem a little old-fashioned--but you can enhance your smartphone or tablet even more. Here are six applications that allow you to use your desktop computer to get more functionality, and more fun, from your Android device. You can complain all you want about the closed nature of Apple's software, but you can't deny that the marriage of iTunes and iOS is as cohesive as it gets. This desktop-mobile connection is missing from the Android experience--until you install DoubleTwist. Once you install this free desktop application, it automatically finds the music, photos, and videos you have stored on your computer (yes, even those in your existing iTunes library) and organizes them for you, letting you browse your collection by artist, album, playlist, and more in its tidy interface. 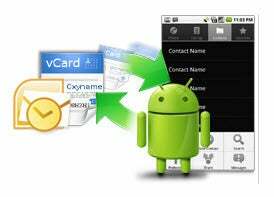 You can sync these multimedia files to and from your Android device via USB. A companion mobile app lets you play back multimedia files on your Android device; upgrading to the AirSync app ($5) adds wireless syncing. Shelling out those (relatively) big bucks for the full version adds some useful features, such as the ability to sync Outlook contacts to your phone, plus the ability to convert audio and video files into Android-supported formats before transferring them to your mobile device. If you have a collection of multimedia files amassed from various sources, this conversion feature will soon prove indispensable when you wish to make those files mobile-friendly. B-Folders 3 is something of an all-in-one tool for businesspeople looking to keep data secure, both on and off their Android devices. It's a password manager, a contact manager, a task manager, and a bookmark manager. But that's not all: B-Folders also serves as a journal and a notepad, and it uses a treelike folder structure designed to make organizing any kind of data easy. The assortment of features is just one half of B-Folders' appeal; the other is its security. B-Folders uses a "government-grade 256-bit AES cipher." The $30 desktop version runs on Windows, Mac, and Linux PCs, while the free Android version works on devices running version 1.6 or higher of the mobile OS. B-Folders lets you share information securely between multiple computers and mobile devices, but the company does not rely on cloud services to do so; instead, it uses a peer-to-peer format that automatically detects and syncs any changes. AirDroid is actually a mobile app, not a desktop program. But once you install AirDroid on your Android phone, your desktop is all you need. This app allows you to take complete control of your Android device via your computer's Web browser. When you launch the app on your phone, it gives you a link and passcode that you enter on your computer in order to complete the connection. This was the hardest part of using the app for me: When I tested it with Internet Explorer, my connection kept terminating abruptly. When I switched my browser to Google Chrome, though, I had no problems. Once the connection is established, you can use AirDroid's slick Web interface to transfer files between your computer and phone; install, uninstall, or back up your collection of Android apps; share clipboard text between your computer and phone; organize contacts; check and delete call logs; upload and download ringtones; upload, download, and play music; and receive, send, forward, or delete SMS messages. And, with a QuickTime plug-in installed, you can even play back videos that you recorded on your Android device. Let's face it: If only you could you use AirDroid to make voice calls, you might never to go back to using that 4-inch phone screen again. If you're trying to get work done on your computer, your phone can be a big distraction. The more you glance at it to see whether you have any new messages or any missed calls, the less you get done. Android Notifier to the rescue: This mobile-desktop app combination lets you stay focused on your computer without missing important notifications from your Android phone. To use it, you install the mobile component on your phone (you'll find it in Google Play as "Remote Notifier for Android") and put the desktop version on your Mac, Linux, or Windows PC. On your phone, you control the settings, deciding which events you'd like to see notifications for. Options include phone ringing, SMS, MMS, battery status, voicemail, and notifications from third-party apps. You also indicate whether you'd like your notifications to be encrypted, and whether to send them via IP/Wi-Fi or Bluetooth. Then, you put that phone away and get to work. When an event occurs on your phone, Android Notifier displays a subtle pop-up from your computer's system tray. It shows you the contact name and the number of incoming calls and the text of incoming messages, allowing you to decide whether the item is important enough to warrant interrupting your work. Okay, Lookout Mobile Security is more of a mobile app than a desktop program. But once you install this free security tool on your Android device (and you should, as it's one of the best-rated Android security apps), be sure to fire up your desktop browser and log in with your free Lookout account. Then, you can use your Web browser to back up your contacts and, perhaps more important, track and locate your phone or tablet if it's ever lost or stolen. In my casual tests, its location tracking was impressively accurate: It located my phone to within a yard of the device's actual hiding spot. Upgrading to a premium account ($30 per year) adds other remote security features, including the ability to back up pictures and call history, as well as a remote locking and wiping function that can keep your phone's sensitive data safe from prying eyes.